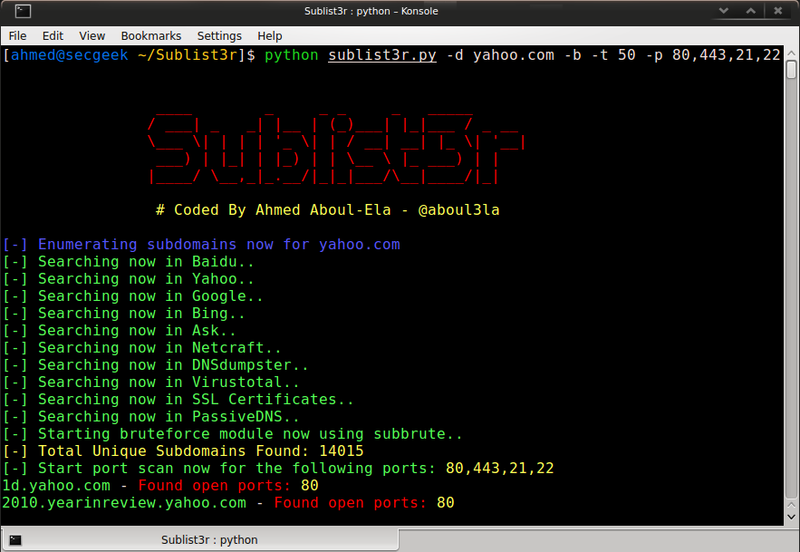 TheRook - The bruteforce module was based on his script subbrute. Bitquark - The Subbrute's wordlist was based on his research dnspop. Special Thanks to Ibrahim Mosaad for his great contributions that helped in improving the tool.